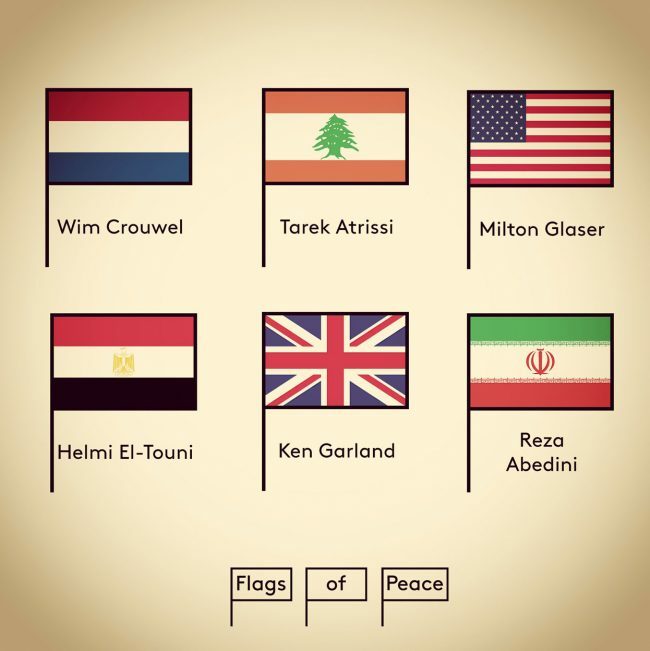 Tarek Atrissi has been selected to take part of the international design project “Flags of Peace”, an outdoor design exhibition organized and curated by studio “Trapped in Suburbia” from the Netherlands. The project revolves around the idea that there is no official global peace flag; and therefore a leading designer from every country in the world has been invited to design his own version and interpretation of a flag of peace. The list of invited participating designers includes legendary international names, such as Milton Glaser (USA), Wim Crouwel (Netherlands); Helmi el Touni (Egypt), Ken Garland (UK) and many others. Tarek Atrissi will be representing Lebanon. The first exhibition of the all the flags designed by the selected participating designers will take place in the city of Den Haag in the Netherlands, opening on the international day of peace on 21 September 2015. The exhibition is scheduled to travel to different locations and countries afterwards.